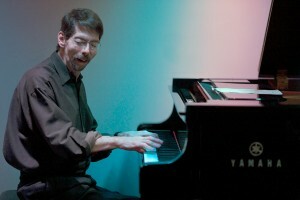 Pianist Fred Hersch, who is approaching legendary status in the jazz world for his imaginative prowess—from reinventing jazz standards to creating originals destined to be standards—is coming to Tucson for a very special concert sponsored by the Tucson Jazz Society and the Southern Arizona AIDS Foundation. The concert will be held on Wed., Nov. 13 at 7 p.m. at the Temple of Music and Art, 330 S. Scott. The performance is part of a tour by the Western Jazz Presenters Network and funded through a generous grant from the National Endowment for the Arts. Hersch will be accompanied by his long-standing bassist and drummer, John Hébert and Eric McPherson. This will be Hersch’s third appearance in Tucson under the auspices of the Tucson Jazz Society. Pianist and composer Fred Hersch has been called a “one of the small handful of brilliant musicians of his generation” by Downbeat and has earned a place among the foremost jazz artists in the world today. From the late 70s onward as a sideman to jazz legends including Joe Henderson, Art Farmer and Stan Getz, he has solidified a reputation as a versatile master of jazz piano, as well as a relentlessly probing composer and conceptualist. 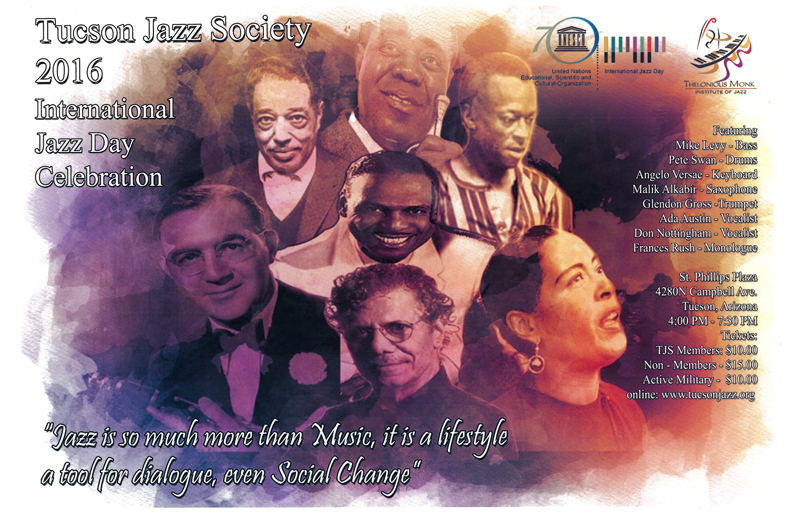 He is widely recognized for his ability to steadfastly create a unique body of original works while reinventing the standard jazz repertoire – investing time-tested classics with keen insight, fresh ideas and extraordinary technique. Whether unaccompanied, in duo, working with trios and quintets, Hersch has explored the jazz tradition to its fullest even as he opens new and undiscovered doors. Hersch’s numerous accomplishments include a 2003 Guggenheim Memorial Fellowship for composition, two Grammy® nominations for Best Jazz Instrumental Performance and a Grammy® nomination for Best Instrumental Composition. He has appeared on over one hundred recordings, including more than two-dozen albums as bandleader/solo pianist. Hersch has acted as a passionate spokesman and fund-raiser for AIDS services and education agencies since 1993. He has produced and performed on four benefit recordings and at numerous concerts for the charities Classical Action: Performing Arts Against AIDS and Broadway Cares/Equity Fights AIDS that have raised over $250,000 to date. Made possible, in part, by a grant from the Western Jazz Presenters Network and the National Endowment for the Arts, presented in cooperation with the Southern Arizona AIDS Foundation. 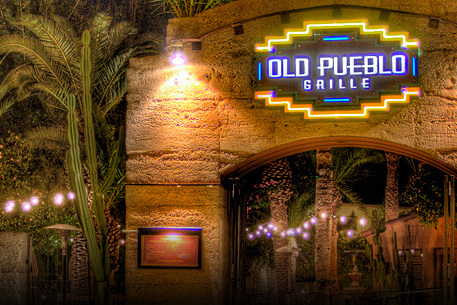 This meeting is open to Tucson Jazz Society Members ONLY. We will elect NEW BOARD positions to include President, Vice President, Education Committee Chair, and Membership Chair. If you are not a member, please consider joining us for great discounts on concerts and to support quality live jazz in Tucson. Become a member online. The TJS is a non-profit 501(c)3, and volunteers make up the work that we do. Along with elected positions TJS is always looking to add new board members & volunteers to help with Marketing for Sponsorships, Raffles, Silent Auctions & Other Fundraising Events, and Event Organization. 2014 has been a success so far and the Tucson Jazz Society is actively working on our 8th Annual Series Concerts. Our first concert on July 5th, starring The Larry Redhouse Trio, was a hit. We are excited for our next concert August 30th featuring Genevieve & the LP’s + Loran Cox, with following concert dates to showcase The George Howard Band, Dmitri Matheny, and David Bach. This is an outstanding lineup of award winning and new artists bringing their irresistible and unique musical talents to Tucson. The TJS would appreciate your help for our future calendar of events and we ask that you volunteer your talents and energy to the TJS. Currently the TJS has a great group of people that make up a strong board. This wonderful group of committed people are from diverse backgrounds and work experiences. What a great way to meet new people and promote the arts for our youth and community. 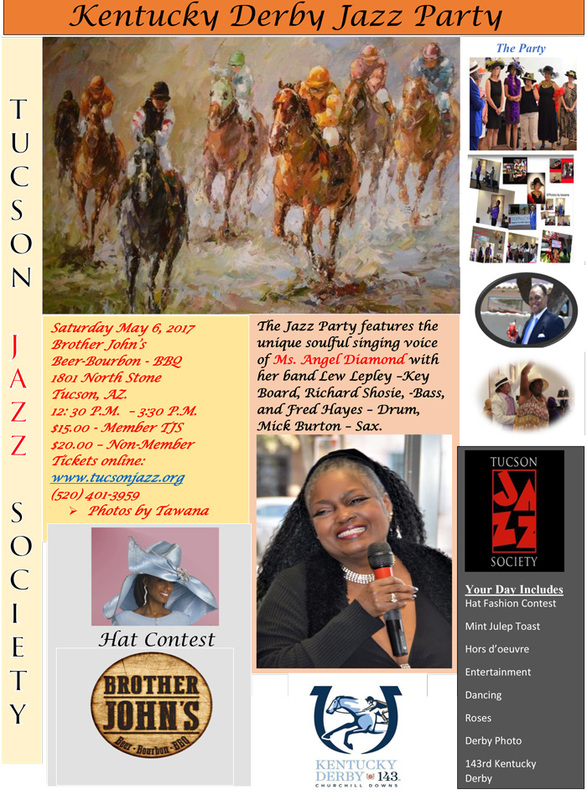 For your love of Jazz become a part of the Tucson Jazz Society. Please contact Mark Slivinski, President, with your interest at president@tucsonjazz.org. 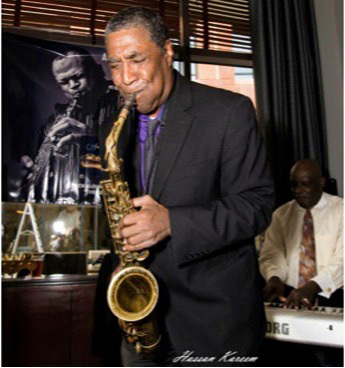 Enjoy food and the sizzling sounds of the Eddie Rodriguez Latin Jazz Quintet on the patio, and meet Clarence Boykins, the new TJS President. No-host bar. Sponsored by Tierra Antigua Realty’s Power Team, Kris Basel, Carol Brown-Crews, Darlene Damiani, and Chris Hawley: Premier and Luxury Home Specialists, and Preferred Lender Jennifer Row-50 years Guild Mtg Co. 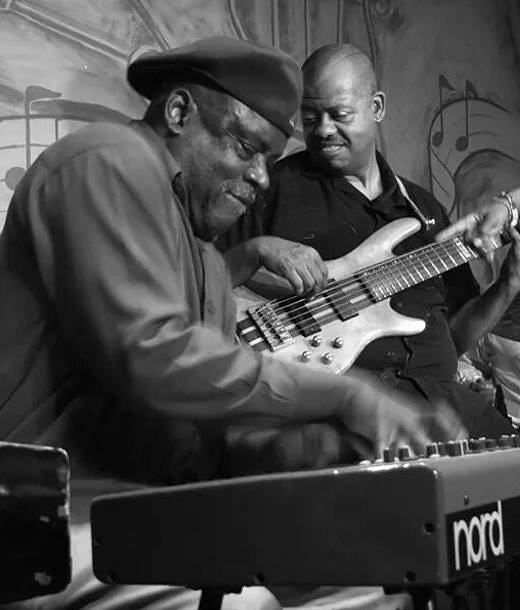 The words most frequently used to describe the George Howard Band are high energy, versatile, and unique. “High energy” because their love for their music emerges with each performance. “Versatile” because they interpret an unusually wide range of blues and R&B styles and dance rhythms. And “unique” because whether they are performing an old classics or an original, these individuals have a style that is very much their own. 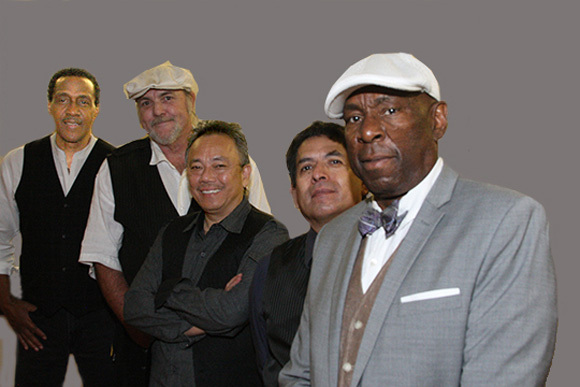 The George Howard band plays all types of contemporary music with close blues and R&B origins: Muddy Waters Chicago electric blues, Texas swing blues, and the compelling sounds of Motown. George Howard is the band’s founding member. As the band’s lead vocalist, George brings forth the band’s soul, spirit and humor. And when drumming, his chops propel the wide variety of infectious dance rhythms behind the expert musicians who are the George Howard Band. The George Howard style, which varies from traditional to contemporary Rhythm and Blues, makes it impossible for listeners to sit quietly. Rather, the audience always finds themselves unable to stop shimmying, shaking or twisting either in their seats or on the dance floor. David Bach will be performing songs from his newest CD, Otherworld, that reached #28 on CMJ National Jazz Charts and #4 on Canadian National EARSHOT Jazz Chart. The David Bach Consort was the winner of the Jazz Discovery Showcase on BET, has performed at Jazzmatazz with B.B. King, and has played at the Kennedy Center. Among his many accomplishments, Bach has returned to Europe as a touring musician for RCA/BMG recording artist Fishbelly Black. David Bach-keys, David Marq-saxes, Mike King-bass, and John Lewis-drums. A native Tucsonan. In 1991, Ada Redd Austin was named “Best Gospel Vocalist” through votes sponsored by the Arizona Gospel Academy Awards, Inc. She has appeared on “It’s Showtime at the Apollo” TV Show in Harlem, New York. She has performed numerous times for the Tucson Jazz Society and honored by singing on a local holiday CD called Southwest Sounds of the Season. Joining her on stage are the following musicians: Pete Swan on drums, Grant Cherry on piano, Matt Mitchell on guitar, Scott Black on bass, and Max Goldschmidt on sax and trumpet. NOTE: DINNER IS NOT INCLUDED. We apologize for any confusion. 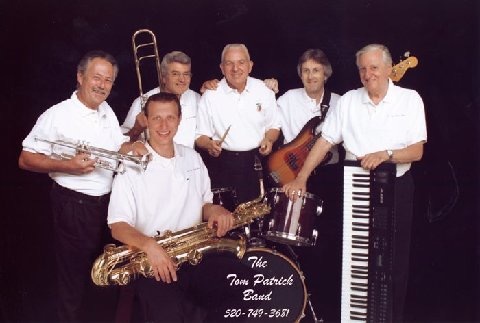 Derby Day Jazz entertainment will feature the music of the Tom Patrick Sextet, formed in 1993 and a familiar band on the Tucson scene ever since. Since swing is all the rage, they play the swinging sounds of Les Elgart, Count Basie and Glenn Miller just to name a few, plus waltzes and all styles of Latin dance music. Featuring a tribute to Billy Strayhorn, the group will be performing some of his great hits such as: “Take the A Train” and “Lush Life,” two of Duke Ellington’s hits. Tom Patrick on drums, Mark Noethen on piano, Jack Wood on Bass, Glenn Harmon on trumpet, Lanny Webb on trombone, Mike Kuhn tenor sax/clarinet. Derby Day excitement continues as the music scene changes with the musical magic of Doc Jones, featuring saxophonist Kerry Campbell. 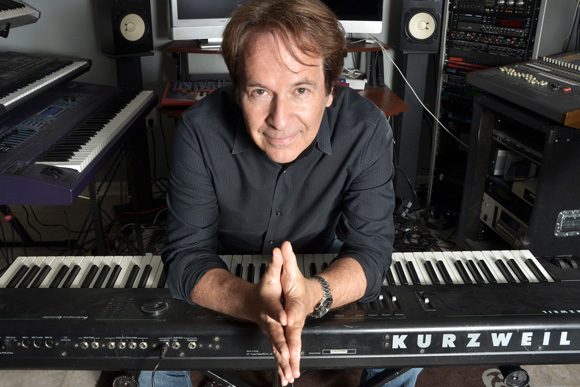 Kerry Campbell, a former member of The Dramatics and famed band War, has performed with jazz greats Herbie Hancock, George Duke, and Joe Sample among others. William “Doc” Jones – Jazz saxophonist, keyboard artist, music educator, founder of Next Student Academy, and proud father of Nayo Jones. His performances include stints with Aretha Franklin and The Temptations. Derby Day would not be complete without MINT JULEPS and Derby dress attire, specifically the famous Kentucky Derby Hat contest. Come ready to join the Fashion Show and Hat Contest. Your most fashionable hat can win great prizes. Other features include a silent auction; vendors, buffet with hors d’ oeuvres, Kentucky Derby photo; and the 141st Run for the Roses. An original musical production by flugelhornist and composer Dmitri Matheny, The SnowCat is the heart-warming holiday tale of a little girl’s search for her wandering white cat on a chilly afternoon and the life lessons she learns on the spirit of sharing and gratitude. The SnowCat is based on the ancient Asian parable of The Oxherder, in which a herdboy’s quest to find his missing ox is likened to an individual’s journey through life. As in the ancient parable, the hero of Dmitri Matheny’s The SnowCat finds her companion and returns home to appreciate the beauty of nature, play music, and have fun with friends. She maintains hope, optimism and determination in the face of adversity; discovers the gentle power of sitting quietly; and embodies the spirit of sharing and gratitude that make the holidays such a magical time. 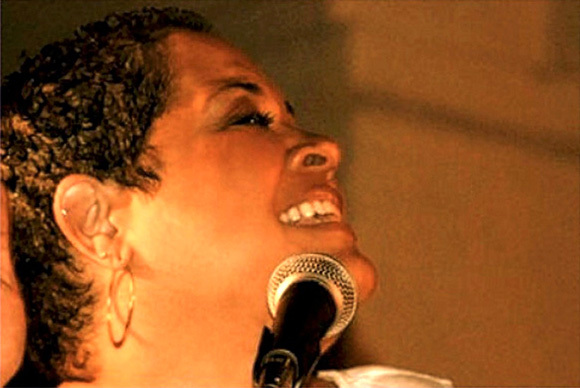 Our featured artist is Swedish-born vocalist Eleonor Winston, who studied under world-renowned musican Ellis Marsalis to become a dynamic jazz song stylist in New Orleans, the “Birthplace of of Jazz.” Backing up Eleonor Winston will be a band of top local musicians: Mike Levy, bass; Doug Davis, drums; and Matt Mitchell, guitar.